If you’re not prepared, regular sumo wrestling matches will allot four minutes to hours worth of preparation time before the gyoji says “mattanashi kamaete’/time’s up, prepare yourselves (for the actual bout). 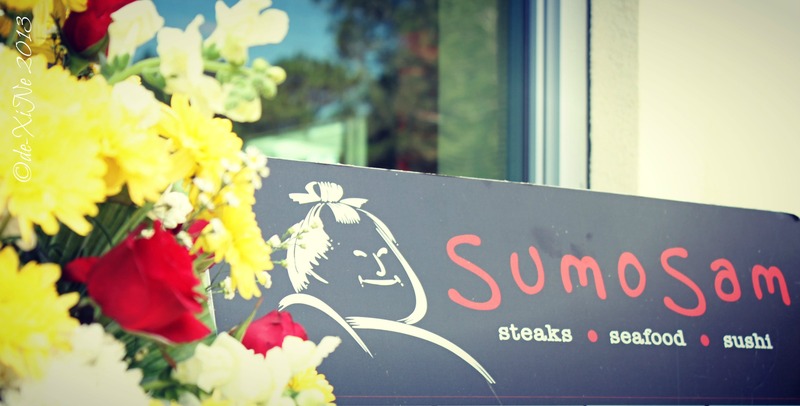 While sumo wrestlers parade around the ring, clap, stomp around, throw salt this way and that, and glare intimidatingly at their opponents, you can prepare for your Sumo Sam meal any way you like. 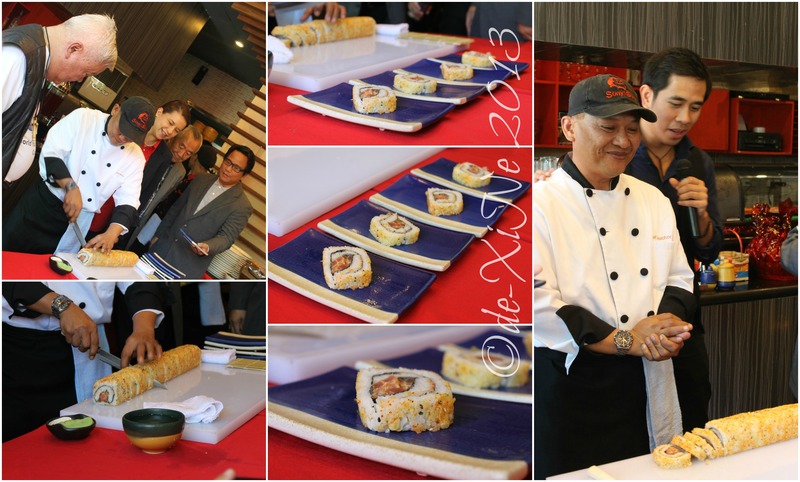 In my case and Race’s, we just happened to be at CJH Technohub when we saw that Sumo Sam was in the soft opening phase. 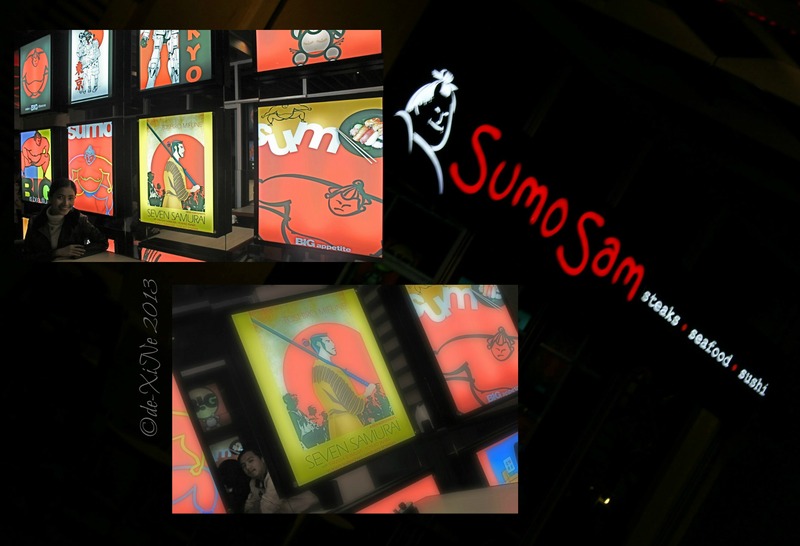 For this somewhat small restaurant of Sumo Sam’s, there are a few more tables to the side, behind the wall where I had a fine time looking at the illuminated ‘posters’ mounted on the mirrored surface. 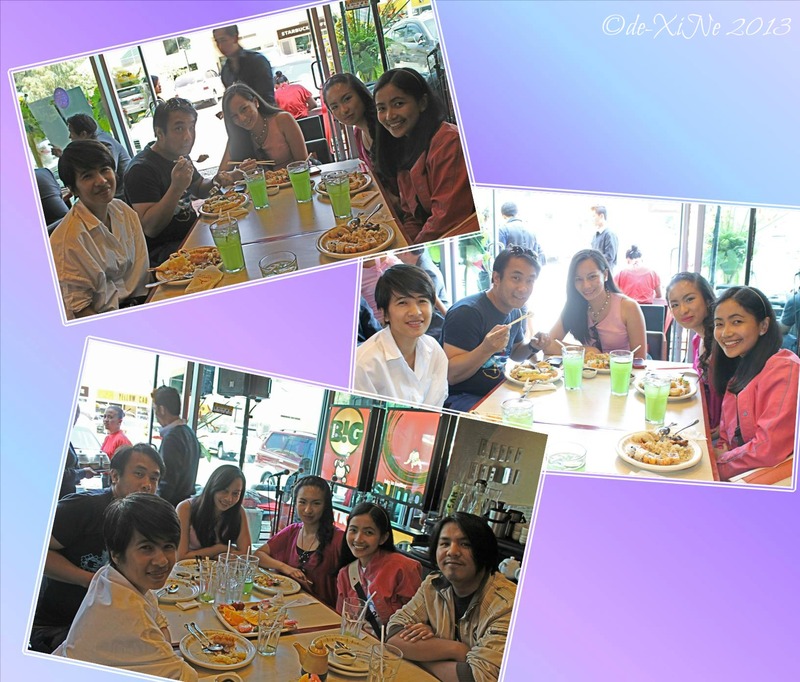 (That is, until my eyes became strained with the brightness so I just had to turn way *hihi). I was at the height of my seafood cravings so I got myself a plate of bacon dory. Race, on the other hand, picked the sesame chicken dish from the Mt. Fuji noodles selection. When our orders arrived, I was surprised to see that mine was like hors d’oeuvres of fish in a pig belly blanket. 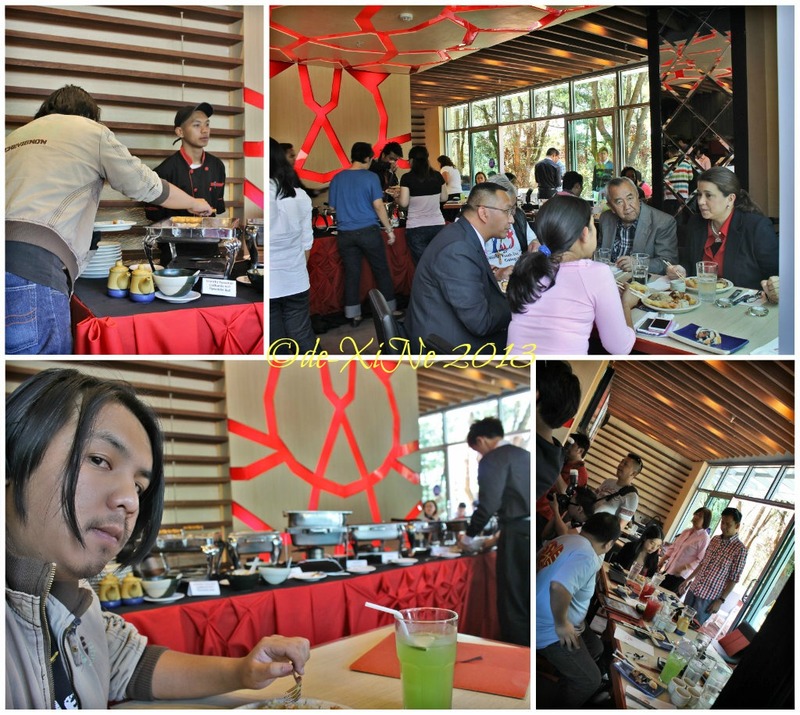 =)) It was a good thing I didn’t get anything else though because Race’s choice was big plate of ultra savory, ultra salty noodles. (Err, our sumo friends really made good on their salt sprinkling purification and protection ritual eh? *snickers) We had to get a few cups of plain rice so we could eat the noodles a la viand (one noodle went a long way with the rice, whoa). 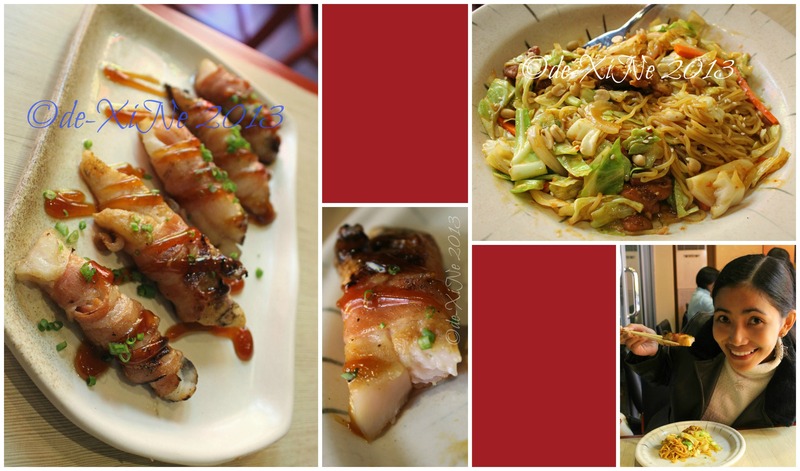 Bacon dory, sesame chicken noodles and me. For drinks, we just got glasses of water. 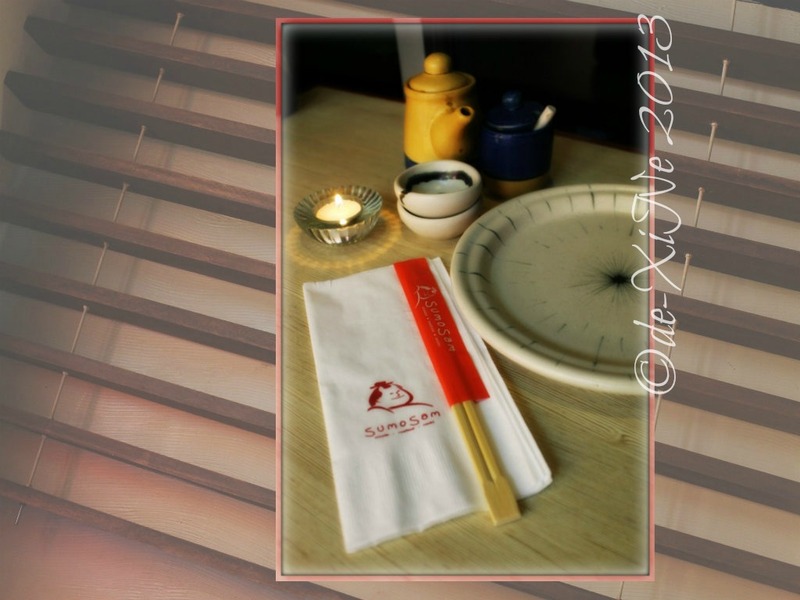 Between the dory and the sesame chicken, the flavors of the dishes threw Race and me right out of the (imaginary) dohyo/ring. 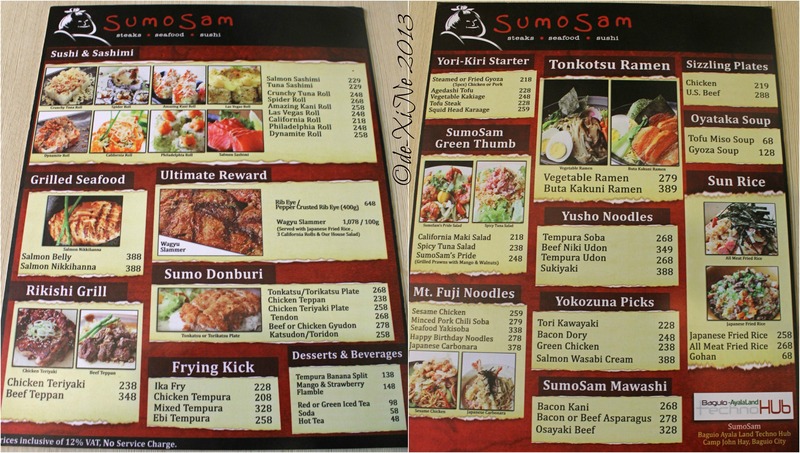 That’s one point for Sumo Sam but I still thought about coming back another time for the dynamite roll and any one of the SumoSam green thumb selections. Moo! Getting to the buffet table myself, I understood what the lady’s head scratching was about. 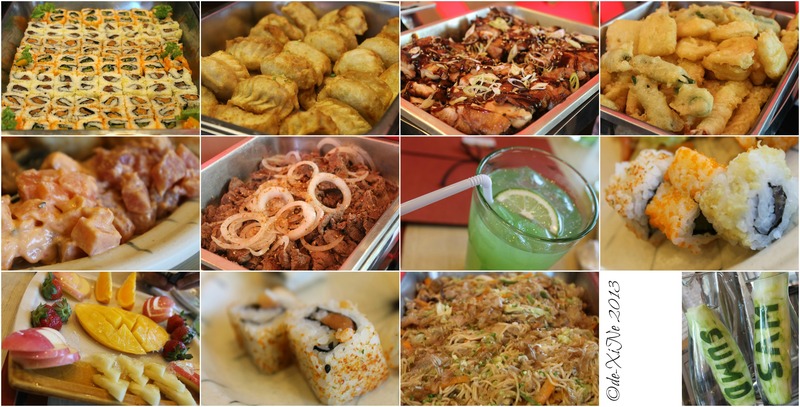 Click to enlarge photo collage of food, glorious foooood! 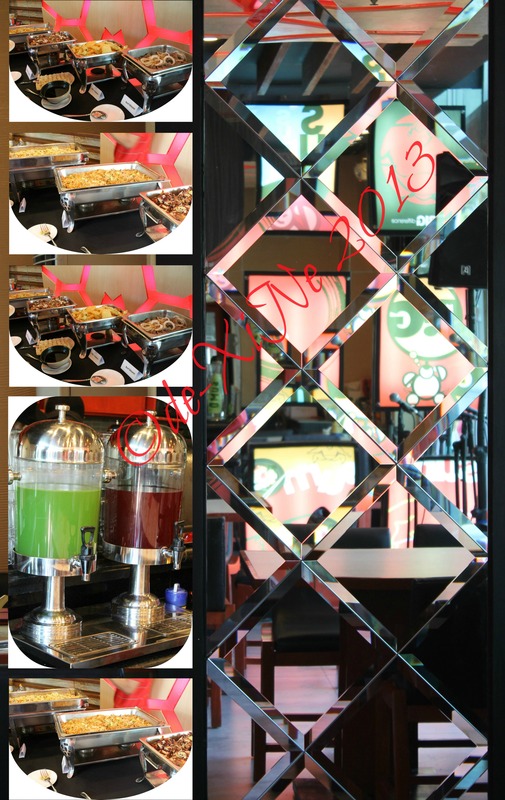 The grand opening buffet spread… and the mirror wall art that always caught my (and Ms. Stella’s) eye. 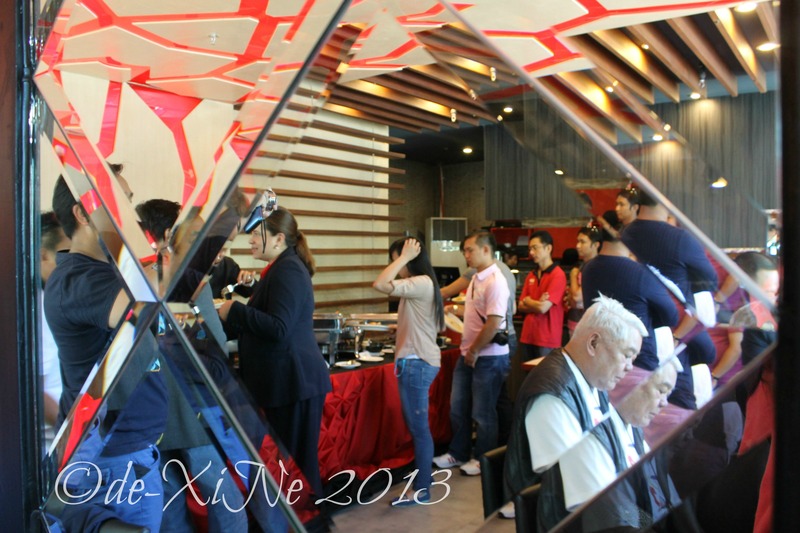 X marks Sumo Sam for good food in Baguio. 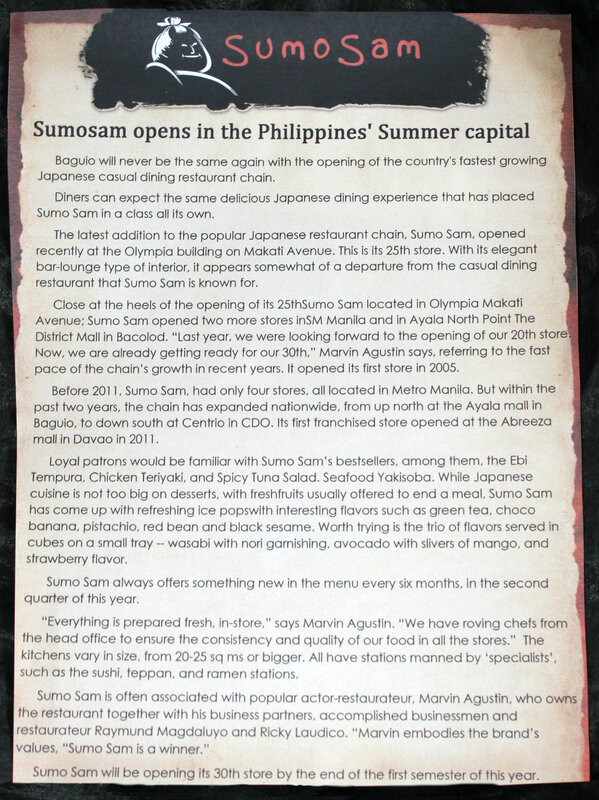 If you’re looking for a Japanese spread that’s big on taste, there’s no one better to give that to you than Sumo Sam. Mattanashi kamaete!! !